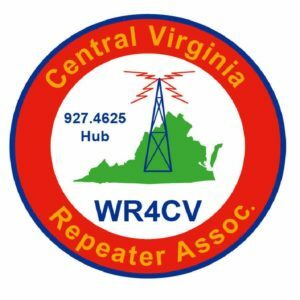 The Central Virginia Repeater Association (CVRA) is an association of federally licensed amateur (“HAM”) radio operators whose members maintain an extensive radio repeater system serving central Virginia. 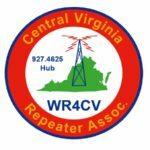 CVRA is supported by membership dues, and donations from its members and the general public. special event support in urban, rural and wilderness settings. When disaster strikes ham radio is often the only communications that works. The Amateur Radio Emergency Services (ARES) works with local, state and federal agencies to pass vital information among those responding to and mitigating the damage. When we support a public service event, our primary role is to provide communications. Many events are held in areas with unreliable or non-existent cellular phone service. We enjoy establishing communications systems for that kind of event as it provides excellent training. Our members are insured while providing event support. We may do other things because we consider each event to be a disaster training exercise, but there are legal limits to what we can and may do. For training and safety purposes, we may track participants of an event, but we should not be relied on to be the official timers or trackers of participants. We may provide “SAG” support as well depending on the event. We cannot be employees or contractors for the event. We cannot and do not solicit funds for our services.